Toddlers are positively delightful and then also sometimes very challenging. Toddlers often push limits and can be very emotional as they navigate relationships and boundaries. 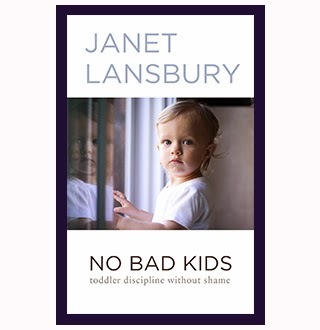 Right now I am reading Janet Lansbury's new book No Bad Kids: Toddler Discipline Without Shame and I am excited to share a bit about it with you today. I started it on an airplane trip (without kids) a few weeks ago and I didn't put it down the entire flight. I really wish I had been able to read it before my kids became toddlers. I think there is so much I would've done differently as a parent. I always love reading posts from Janet over on her website Elevating Child Care but the topics covered in this book are so comprehensive and all in one spot. I love it! 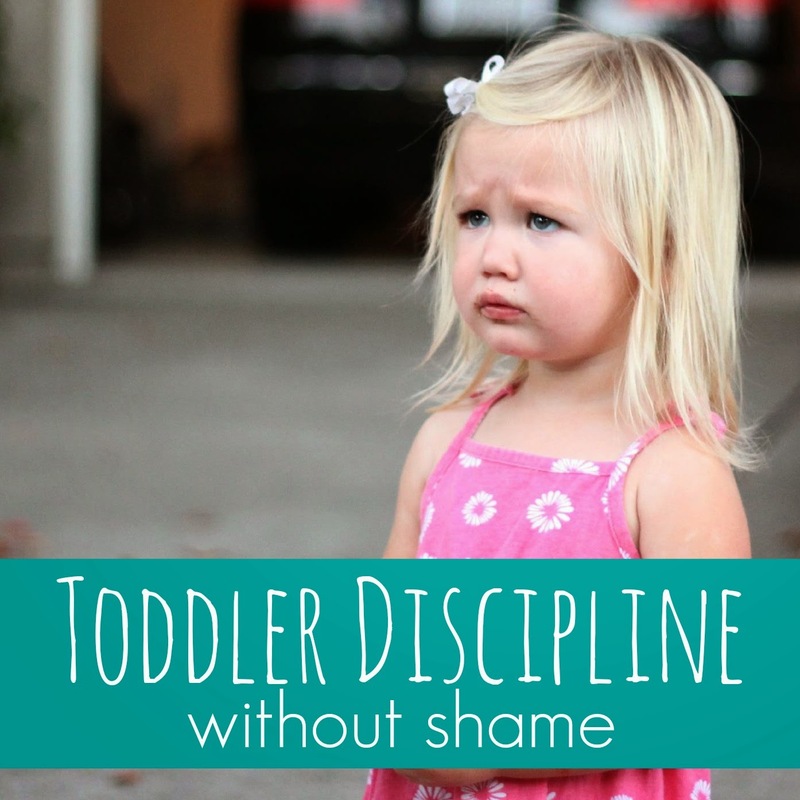 "A toddler acting out is not shameful, nor is it behavior that needs punishing. It’s a cry for attention, a shout-out for sleep, or a call to action for firmer, more consistent limits." Janet is a parent educator, blogger at Elevating Child Care, and a mom of three. Her book was written as a "practical tool for parents who are anticipating or experiencing those critical years when toddlers are developmentally obliged to test the limits of our patience and love." Today I am going to share with you the topics that are covered in Janet's book, No Bad Kids: Toddler Discipline Without Shame. I am also going to share some favorite tidbits from her book and then I have a giveaway for readers at the end of this post. 1. 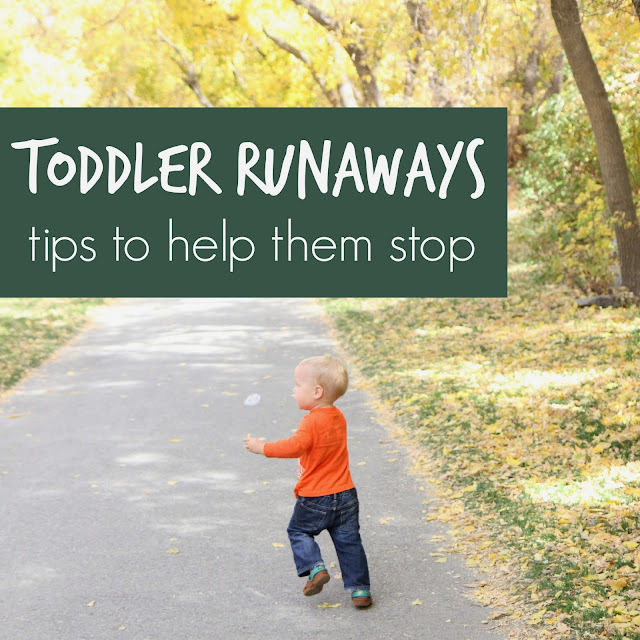 Don't take toddler misbehavior seriously. Janet reminds us that toddlers are learning. We shouldn't label our child as a "bad kid." Often toddler misbehavior is telling us that the child needs more limits. My toddler is hitting and throwing things at his sister a lot lately. My response has been to remove the items and set a positive limit with my son. I make sure to explain what he can do with his hands or any objects and what he can't do. I can tell when his siblings sometimes over-react to his behavior it exacerbates the behavior... so I try and avoid doing that. This is easier said than done with some kids, but so important! I loved this simple suggestion from Janet, "A simple, matter-of-fact, “I won’t let you do that. If you throw that again I will need to take it away,” while blocking the behavior with our hands, is the best response." 3. Speak in first person! Oh goodness I realized after reading this section of the book that I speak in third person ALL THE TIME. Now everytime I do I try and correct myself. Janet believes that direct communication is best for toddlers. Using the third person can be confusing! Janet shares that "a toddler learns discipline best when he experiences natural consequences for his behavior, rather than a disconnected punishment like time-out." Consequences should be fair and not make children feel manipulated or shamed. I think the reminder that the child may still react negatively to the consequence is important. Consequences should not inflict pain either. I have been working really hard to make consequences more natural at our house. For example, if my oldest son's room isn't picked up, then his friend can't come over or if my toddler hits someone on the head with a stick then he loses the stick. By reacting calmly and immediately my toddler (and older kids) have learned the cause and effect of actions very quickly and know what to expect from us. These four tips are shared in the first few chapters of Janet's book along with five more. The rest of the book is simply awesome and is a collection of Janet's most popular articles related to common toddler behaviors. She also shares how respectful parenting practices can be applied to benefit both parents and children. I think this book may be my new "go to" gift for friends who have kids entering the toddler years. Do you agree with the quote above? I think I need to hang it on the wall to make sure I remember it! 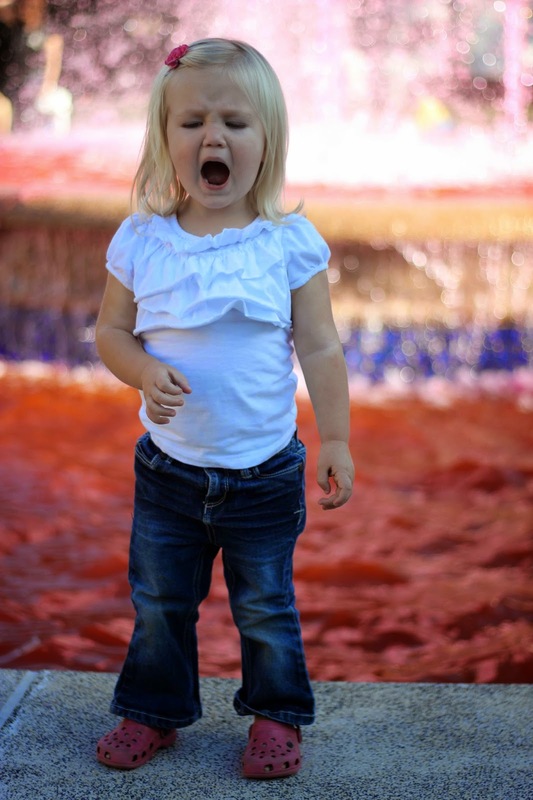 Do you have a toddler with some challenging behaviors? Are they covered on the list of subjects that Janet talks about in her book? Have you read Janet's book yet? You can purchase it on Amazon either as a paperback or in a kindle or audiobook format. Disclosure: I received a free copy of Janet's book No Bad Kids: Toddler Discipline Without Shame to read and share with you. I was not compensated for this post. All opinions are mine! I can't get rafflecopter to work (it won't let me type), but this book is going on my amazon wishlist today! Same here. It says I commented when I didn't, it says I have 2/2 entries but no confirmation. Its not working, I think! Me too! Can't type in the box? Most challenging for me is when my lo tests to see how far he can push the limits. I find it most challenging when my toddler refuses to do what I ask him to do. I constantly worry about my son acting out and finding a balance, perhaps this book will be helpful. I couldn't get the email part to work 😕 our most challenging behavior is when you take something away for hitting she will take the next closest thing to hit with and it's a game. Redirection is nearly impossible! This is just what I need right now after a challenging last couple of days! My second boy has a temper. Anything that contains him (like every single diaper change) he throws a temper tantrum and he also likes to bite. Right now, my biggest challenge is back talk. 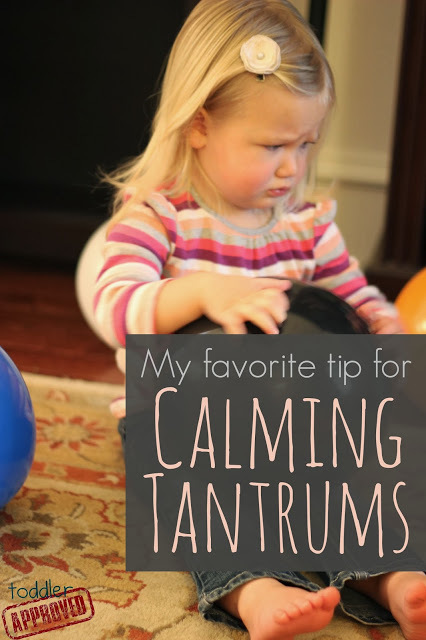 Couldn't get my comment to load in the box above but my most challenging toddler discipline issue is dealing with my child's tantrums- when she is frustrated or not getting what she wants she sometimes hits or bites. I know she just wants more attention but I'm not sure the best way to handle it so that she gets the attention she needs but also learns that hitting and biting are not acceptable. My son just turned 2 and I would love this book! Can't wait to read this! I have trouble using the natural consequences sometimes, but I need to work on it! I can't use the rafflecopter, either. For the question asked, the most challenging toddler behavior I deal with is dog tail-pulling. Argh. Talking back is the biggest issue we're having with our 4-year-old right now. It's a hard concept for her to understand. Constant whinging and not listening when I ask him to do something. 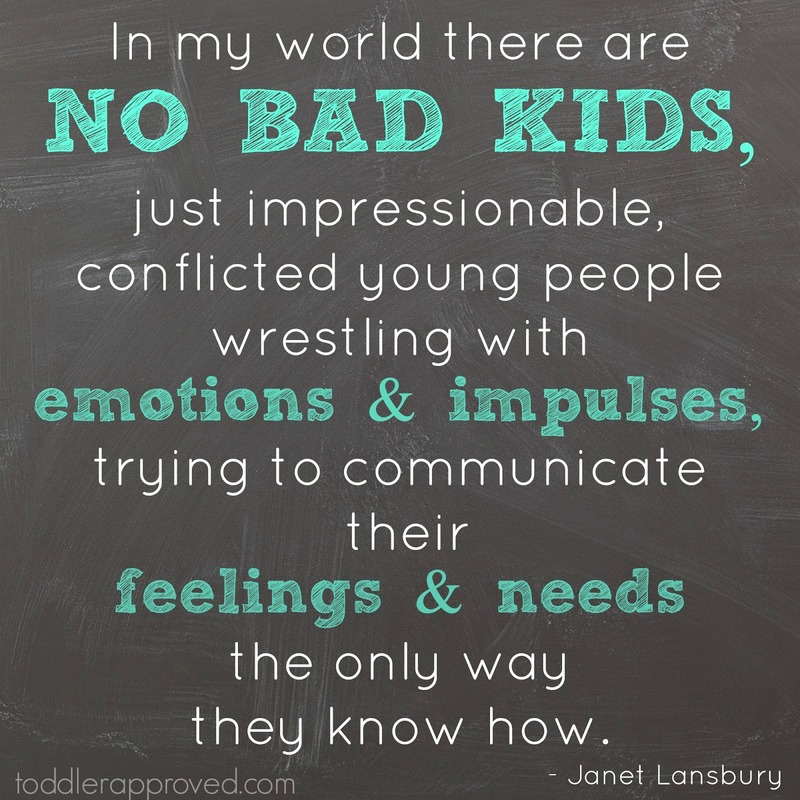 Janet Lansbury is one of my favourite resources for parenting insights and guidance. Her work has significantly improved my experience as a parent and my son's experience during his childhood. Thank you! We are a huge fan of natural consequences! Right now, I am dealing with a toddler that bites (but only one specific child). Thanks for sharing this! I am not a parent but a teacher for this age. Challenge right now is students not getting what they want and pouting (or crying) for the next 30 minutes. My son is a biter and it's difficult to manage. Whinging and whining all the time- especially when trying to do the shopping. I love this! I always say that if they'll outgrow it by the time they're 18, it might be time to fold... but I guess I really do need to read (listen to) this book.My baby is just entering toddlerhood. Wanted to enter nut the first entry has no place for my email address that it asks for. My toddler is adorable at times, but changes into a little monster. Her behavior is now causing me and my husband to fight. I wish I was better informed before we reached this age. There is no place to enter your email. My biggest challenge with my daughter is she doesn't want to listen to me right now. Would love to share with teachers at preschool. It sounds as it would be an awesome tool.for behavior management in classroom as well as a good resource in personal life at home with their own children. It is so frustrating to try and be consistent (which is my problem, not his). I need to learn to stop what I am doing and redirect him. Not letting moments slip by. From the bottom of my heart, THANK YOU for reading my book and featuring it on your wonderful website! Im not sure if it got my email! But hey its worth the try... I have a preschooler that has all the topics mentioned. I am trying to changr my thoughts and reactions. This book would be very beneficial! I'd love ideas and guidelines for how to deal with my toddler's challenging behavior - I hate feeling like I'm not responding in a constructive way. Our current most challenging behaviour is physical acting out of anger, and my lack of patience due to no sleep since DS 2 arrived. I need new strategies because I don't feel like I'm doing very well at the moment!! I get very frustrated by the screaming and meltdowns when she doesn't get something she wants. Back talk, tantrums, sibling fighting are all things going on at our house. I am working so hard at staying calm in these moments but sometimes I lose my cool. Would love a resource like this! Not sure if comments/email is going thru not showing up, the meltdowns, one minute he wants it one way and the next he wants it the complete opposite and then tantrums!!! With her, it's only hard when she went listen. I'd love to read this book to get some tips! The constant whinging! And pushing his little brother over whenever he walks past him. Still unable to enter email (dunvaldelap@gmail.com) or address. I have a 4 year old and 2 year old twins. I feel like I'm constantly telling them to stop hitting, or fighting, or pushing, etc. Any help would be awesome. yeah - It wouldn't let me leave my email address. Tantrums - or more so crying to get what they want. My normal sweet child has started tantrum mode out in public at 3.5. This was a great post for me to read. Especially the first point, "Don't take toddler misbehavior seriously." I think I did that tonight actually, but afterwards I'm realizing her behavior wasn't as big of deal as I made it. She was just trying to have fun. One of the most challenging behavior I face is when I tell her no and she continues to test me. Not sure where to enter my email address: alboyers@gmail.com. Food! Specifically, requesting food, and then not eating it, and then pitching a fit when I say there's no more food (for a couple of hours) until the requested food is eaten. Not doing what is asked.... eating, picking up toys. When you have appropriate expectations of child behavior and understand that they are in a major learning phase, need role modeling, and compassion, it's easier to remain calm. 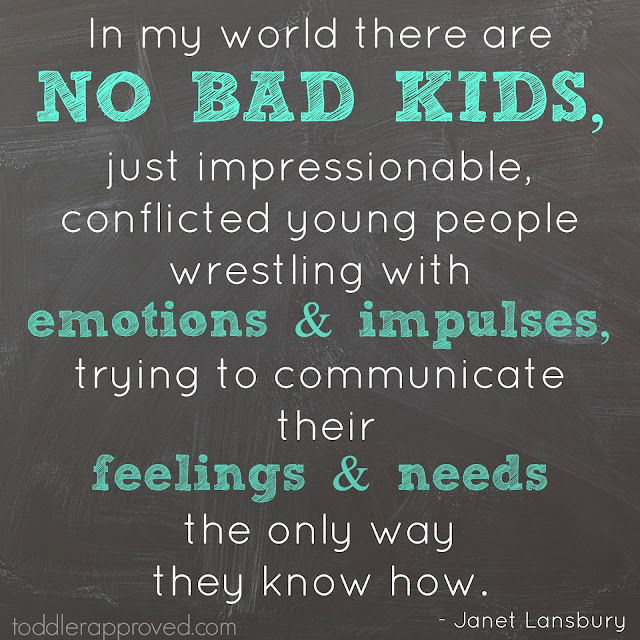 In fact, if you want them to learn how to positively manage their emotions, we need to do the same! At the moment the most challenging toddler behavior in our family is scratching/intentional hurting... but we are working on it! The most challenging thing I am currently facing with my toddler (2yo) is shrieking and pushing her older brother (4yo)- since he shrieks or cries back, she knows it gets to him and her behavior is reinforced. This is especially difficult in the car because I am limited in what I can do to distract her while I am driving and the shrieking is especially unnerving. Most challenging for me is bed times... 4yr old seems to lose his mind at the mere mention that it is bed time & throws the worst tantrums! The most challenging thing for me is trying to get my 4yo to follow directions and to not act out when told no. This can be applied to any time of the day (eating food, brushing teeth, bedtime, you name it). His little sister (2yo) is picking up on his habits so I hope I can nip them in the bud sooner rather than later. Hi everyone, I am a young mother of a two year old girl, and a one year old boy. I am confused how to get my daughter to do several things. First, is getting to talk; I am afraid I may be doing something wrong. She understands what we say but will not verbally take action in response. I also have noticed my daughter has picked up on throwing aggressive temper tantrums when something does not go her way; in the middle of the night she may scream and start to throw up when she becomes fatigue. It is a lot of other things but I believe I should just start here. All recommendations are welcome!